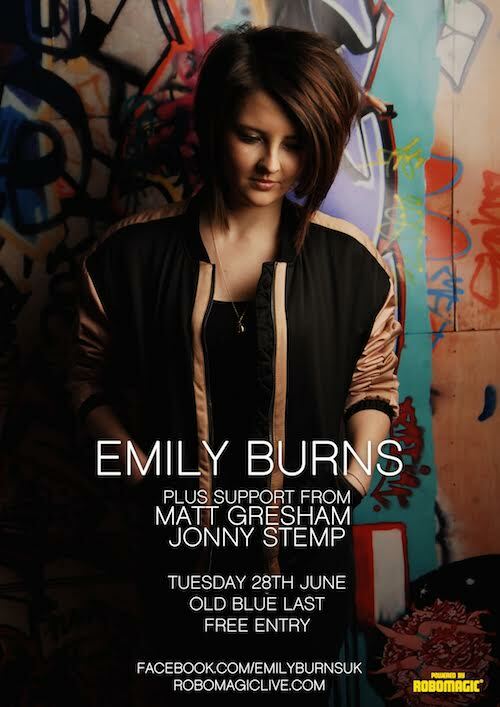 Rising vocalist-songwriter-musician Emily Burns (21) will make her London headline debut at The Old Blue Last on Tuesday 28 June, in association with Rob Hallet’s emerging artist supporting 360 promotion agency: Robomagic. Emily’s vocals have already received praise from artists such as Gabrielle and drawn comparison to Alessia Cara, Nao, Jessie Ware and Tori Kelly. Her unique R&B Pop sound and stand out vocals are creating a strong industry buzz which reached fever pitch at a recent stand out performance at the Great Escape music festival. With imminent plans to independently release her debut single and embark on her debut UK tour, working with writers/producers including: Emre Ramazanoglu, Dan McDougall and Edd Holloway, Emily Burns is definitely one to watch this year. Emily will be supported by rising emerging artists: Matt Gresham and Jonny Stemp.